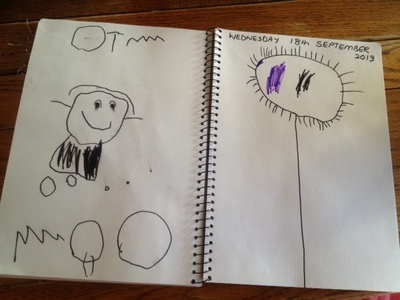 Creating a drawing journal with your child is a great way to reflect together on experiences from the day and talk about feelings. 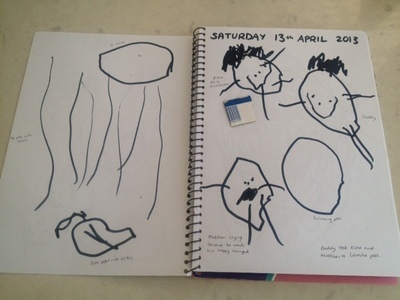 If you keep adding to it over a long period of time, it also makes a lovely book to keep and is a fascinating diary of drawing technique evolution as the child grows. 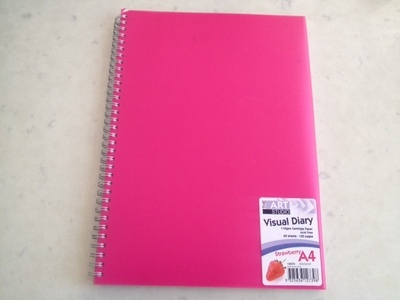 All you need is a notebook with blank pages and a variety of pens, crayons, pencils etc to choose from. 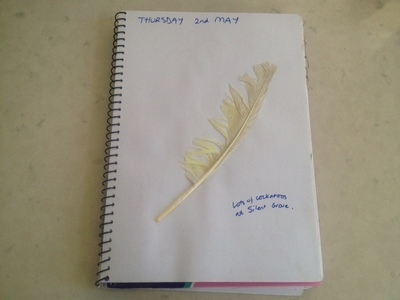 The idea is that the child gets a double page in the notebook for each day (or once a week, or once a month or whatever frequency they want to do it). They can draw a picture about something memorable from their day. 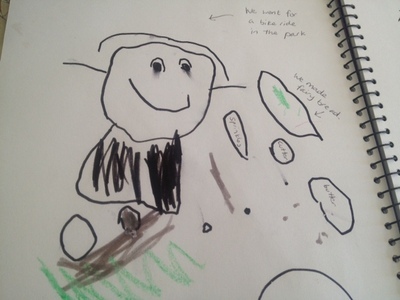 For example, they might draw something interesting they saw in the garden, the park or a picture of a person. 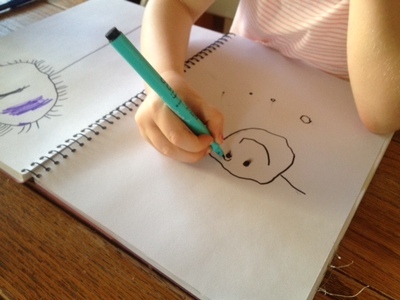 Don't give them guidance about what to draw - let them choose anything they want to. Sometimes they might just want to draw a big scribble! 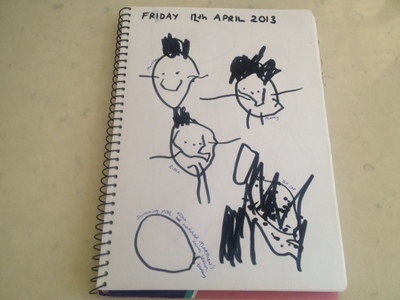 Talk about what they have chosen to draw and have fun remembering stories from the day. It's also a good way to talk about feelings. You could write captions in so that you can remember at a later date what the drawings are about. You could also collect tickets or leaflets from a day out and stick them into the book like a scrapbook. Write the date at the top of the page. It's also a good way to talk about about days, months and dates. 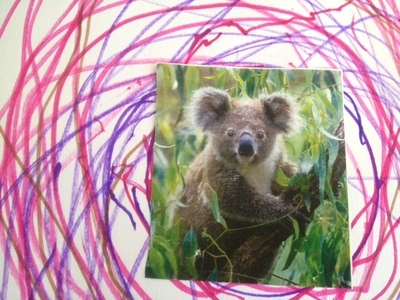 For more fun creative ideas to do with your children, check out MyKidCraft. This is Fab! Good for people who are starting out to draw as well, for a record of progress.